Judicial extern for the Honorable George H. Wu of the United States District Court for the Central District of California. 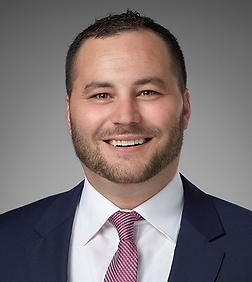 Samuel D. Duimovich is an associate in the Business Trial Practice Group in the firm's San Diego office. Samuel’s practice focuses on all aspects of insurance litigation, including first-party and third-party bad faith litigation, healthcare litigation, reasonable and customary rate disputes, coverage disputes, and insurance fraud matters. Samuel has represented business enterprises, particularly insurers and health plans, at all stages of litigation and arbitration, including discovery including motion practice, fact and expert discovery, depositions, trial, and post-trial motions. Samuel also has extensive experience in complex commercial and securities litigation. He recently participated in a complex shareholder derivative trial in Delaware Chancery Court involving novel claims, and led fact discovery teams in other derivative class actions and SEC inquiries. Samuel is actively involved in pro bono matters, having drafted a US Supreme Court amicus brief and successfully briefed and argued an asylum case in immigration court. He has received numerous recognitions for his pro bono contributions, including the California State Bar Wiley M. Manuel Award and the Inn of Court Pro Bono Publico Award from the Casa Cornelia Law Center. While attending law school, he received a Business Law Certificate and served on the Southern California Review of Law and Social Justice. Healthcare plans in “reasonable and customary value” disputes with providers. Insurance companies against claims of bad faith denial of coverage, from discovery through post-trial motions. Directors and officers in a derivative class action trial in Delaware Chancery Court against both former stockholders, claiming breach of fiduciary duties arising out of a merger, as well as client’s former counsel under aiding and abetting claims. Participated in all facets of litigation, including fact and expert discovery, deposition preparation, briefing, witness preparation, and direct and cross examination preparation. A Dow Jones-listed corporation in a securities class action by shareholders claiming violations of the Securities and Exchange Acts that transverse both state and international jurisdictions. A public company’s CEO in an SEC investigation into insider trading allegations, which resulted in successfully petitioning the SEC to take no action. A syndicate of LGBT military organizations in an amicus brief before the US Supreme Court that was cited by a Justice. An LGBT Nigerian national in a defensive asylum proceeding in immigration court after she fled persecution in her home country. Obtained a complete victory with appeal waived. Responsible for all aspects of case, including fact discovery, briefing and oral arguments.